We have templates for all the covers listed on this page, which will give you a perfect fit for your brand name piano. 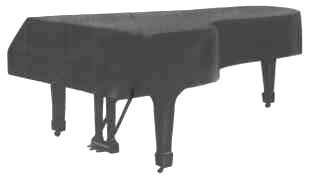 If your piano is not listed on this page, select your cover by specific Fabric & Size. If you don't see your Piano listed above, Select your cover by Fabric & Size. We will Custom-Make a Cover for you at no extra charge!